How desirable will yo find the Apple Watch Hermes after you'll have watched this first contact video ? A customized Apple Watch Face: it’s possible! Well someone has found a solution with a tweak that allows to run watch OS 2 beta with customized faces. The developer Hazma Sood, has published this video on twitter showing the Apple Watch in stainless steel body reading two different customized faces. Will it blend ? 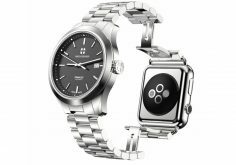 The Apple Watch reduced into Siri dust by Blendtec… again ! Apple has updated its support pages dedicated to the battery life of its products, ranging from the iPhone to the MacBook, including now the Apple Watch. 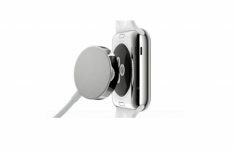 We learn today that the minimalistic Apple Watch battery of 205mAh, offers a battery life which is pretty generous: 100 full charging cycles. The Apple Watch will be marketed from April 24 this year. Hold tight! 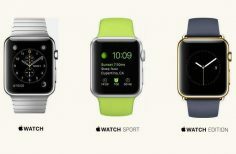 These notorious smart watches are already available in preorder today March 10, 2015. Nice enthusiastic music, wide background, high quality macro images of the Apple Watch: you will Apple’s smartwatch as never before waiting for discovering them for real very soon in the nearest Apple Store.